It is 1922, and London is tense. Ex-servicemen are disillusioned, the out-of-work and the hungry are demanding change. And in South London, in a genteel Camberwell villa, a large silent house now bereft of brothers, husband and even servants, life is about to be transformed, as impoverished widow Mrs Wray and her spinster daughter, Frances, are obliged to take in lodgers. For with the arrival of Lilian and Leonard Barber, a modern young couple of the 'clerk class', the routines of the house will be shaken up in unexpected ways. And as passions mount and frustration gathers, no one can foresee just how far-reaching, and how devastating, the disturbances will be. 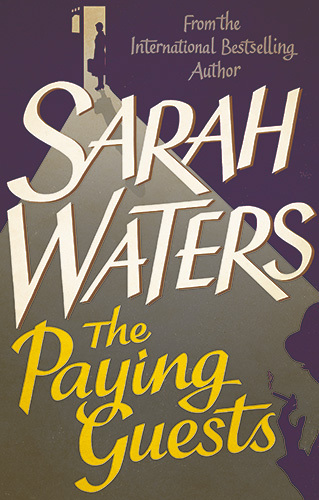 I've read a couple of Sarah Waters novels now (The Little Stranger and The Night Watch) both of which I loved so expected this would be another book of equal excellence. The novel is set mainly in the house of Mrs Wray and her daughter Frances. In order to keep up with the bills of their crumbling villa they take in lodgers and Frances' life is turned upside down with the arrival of the colourful, modern and young Lilian and her husband Leonard. As Frances falls deeper in a forbidden affair no one can see just how it will end. I enjoyed this book but nowhere near as much as The Night Watch (which I loved!) the story was really good and the characters were well written but I found it dragged in places and became a little repetitive so much so that it actually took me quite a while to read this book, I'm a slow reader anyway but this took me longer than usual. For Sarah Waters fans I wouldn't dismiss this novel as it's a decent enough story I just don't think it's as good as her other two books that I've read.